Record Slingbox broadcasts on your PC. Schedule, convert & more. 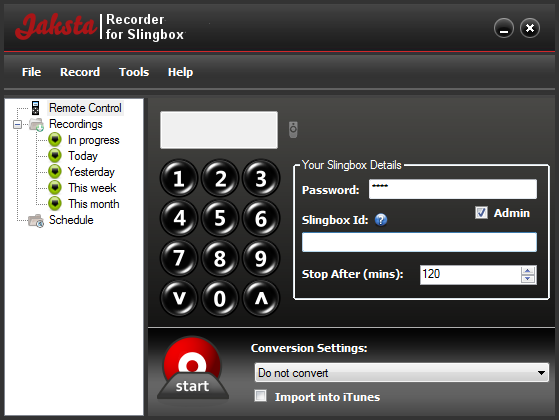 Jaksta Recorder for SlingBox lets you record Slingbox broadcasts as video files playable on your PC. It's compatible with any Slingbox Model: Solo, Pro HD and AV. Includes scheduler, video format converter and automatic iTunes import.